My background is in tephra studies, i.e. tephrochronology and also paleoclimatologic research. In my B.Sc. project at the University of Iceland I studied a tephra layer produced in an eruption in Katla volcano in 1755 AD. In my Cand. Scient. (M.Sc.) studies at the University of Bergen, Norway, my research was focused on studying the environmental and climatic changes in Sognesjøen, outer Sognefjord, western Norway, during the last ~11.000 cal yrs BP from marine sediments. In my PhD project at the University of Iceland, I worked on tephra layers in marine sediments from the North Icelandic shelf with the purpose of establishing a tephrochronological framework and gather information on volcanic activity in Iceland for the last 7050 years. My research project at Nordvulk titled; “Holocene tephra stratigraphy of a continuous lake sediment sequence from Lake Lögurinn, Iceland, deals with identification and analysis of tephra layers in lake Lögurinn to establish a tephrochronological framework for dating and as a source of information on volcanism in Iceland. The aim of the project is to produce a detailed tephra stratigraphical record for the entire Holocene time period in eastern Iceland that will hopefully significantly contribute to and improve current knowledge on Icelandic volcanoes and volcanic systems, especially concerning the early Holocene time period. My project is connected to a project called the Lagarfljót project which aims at obtaining a general glacial history of Vatnajökull, the surge and melt-water history of Eyjabakkajökull, and a detailed Holocene environmental history of eastern Iceland read from the sediments of lake Lögurinn. Therefore the tephra stratigraphical record from Lake Lögurinn will provide a chronological framework for the environmental history of Vatnajökull. I was spellbound! One random afternoon, when I was about 12, local Danish television ran the classic Katia and Maurice Krafft volcano-movie. I just knew, right there and then, that volcanology was it for me. Today I am a Danish geology-geoscience graduate. My educational résumé contains a Bachelor’s degree in geology-geophysics and a Master’s degree in geology-geoscience from University of Copenhagen. My Master’s project focused on mantle melting. It revolved around the Cape Verde archipelago. The Cape Verde Islands are situated on the biggest hotspot on our planet, which makes them very appealing for mantle studies. My modeling was based on the petrological interpretation of major-, trace-, and isotopic element data. It was set within the framework of thermodynamics and experimental petrology data. During my Master’s I also spent 6 months on studying active volcanism at University of Hawaii. There I gained knowledge of the many aspects of volcanology. And I also got to baptize my geo hammer in the red-hot pahoehoe flows. Thus older and wiser I finished my degree. Then I got involved with teaching and public outreach for a few years. I worked at Danish natural history museums and developed new geological teaching programs for visiting schools. The didactics were based on the intriguing cooperative learning and multi-voiced classroom theories. I believe that good communication skills are paramount in relation to hazard research and teaching has a very big place in my heart. Now I continue pursuing my passion for VOLCANOES here in Iceland. 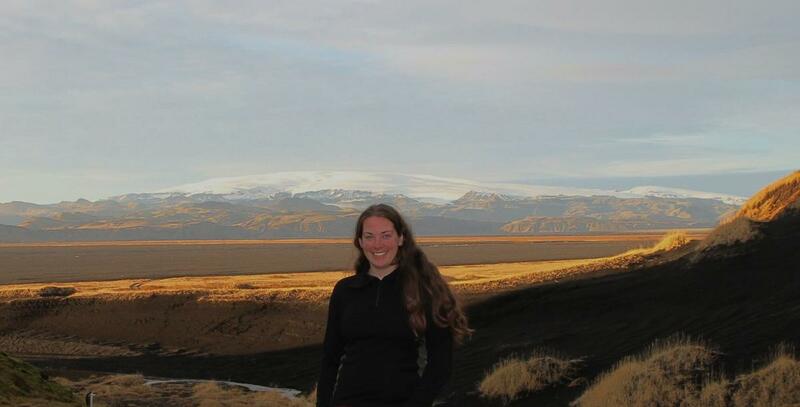 My research project revolves around the generation, transport, and dispersal of basaltic tephras from Iceland. It was inspired by the Eyjafjallajökull 2010 eruption and the paralyzation of the European air traffic that followed. My aim is to evaluate the distal hazard potential of hydromagmatic basaltic explosive eruptions. I am primarily interested in eruptions that have reached the European area, such as the recent eruptions of Eyjafjallajökull 2010 and Grímsvötn 2011 and those of Katla in 1625 and 1755. I look at the local tephra distribution in Iceland from specific eruptions and then I study the morphology of the tephra grains. The results are then to be used in tephra dispersal and hazard models. My project is co-funded by NORDVULK and the University of Copenhagen. Iceland is the place where geology lives and breathes. Apart from being one of the coolest places to live, I find it utmost scientifically intriguing. You literally walk in a geology book. All the geological processes meticulously described in texts are at a formidable display right outside your front door. There are so many possibilities for making fascinating discoveries and working out geological mysteries. The complexity of the interplay between the volcanic fire and the massive glaciers continues to inspire and impress me. Iceland just captures my imagination!